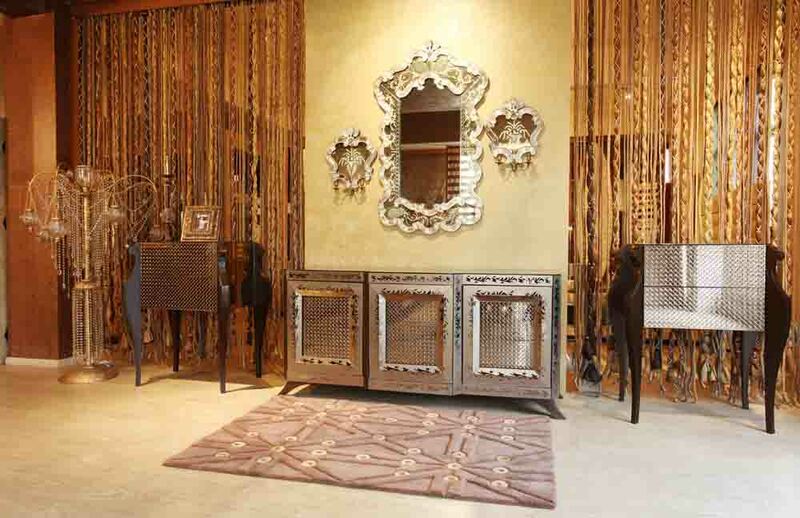 La Sorogeeka, the modern, luxurious interiors brand brings an exquisite collection “VINTAGE” for your lounge area. This new collection brings back the magic of yesteryear designs, inspired by charisma of the golden period, the setup exhibits the designs and patterns for your lounge area which takes you to the era of palaces. The setup showcases royal opulence, where each product defines sophistication, be it an iceberg design sofa, matt gold cushions, bronze side tables, or chairs in royal design; each product exudes majesty and radiates richness. The special attraction is the dining area, which is made of crushed banke and a pleated fabric with extra-long cushions highlighted along with multi colored embroidered seats stools. Admirable Koftakri and tigri work on sofas and iceberg designs takes you to the era of forts and glass work on the table gives imperial look to the lounge. Every product defines royalty. 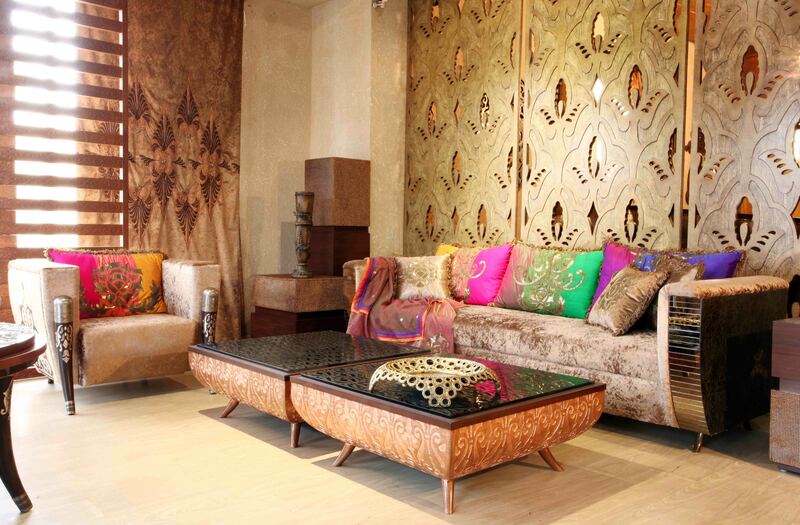 Each product in vintage collection gives the antique touch to the lounge area. Bright shades of blue and green are used in cushions to give a warm and peaceful feel to the lounge.La Sorogeeka, which is renowned for its crafted luxury furniture with innovative design and best quality, has invented a new way as Asia’s biggest one stop destination for luxury interior decor. So head to La Sorogeeka and bring the royalty in your house. Posted on September 29, 2014 by AparnaPosted in Decor, Design, Interior Design, Luxury, Products, UncategorizedTagged decor, design, furniture, Interior design, Lifestyle, Luxury, maharaja, Palace, Royal, Vintage.